After the sun came up, I returned to the same lake (previous photo). Now the grasses are in complete sunlight and very photogenic. Just a little earlier, these grasses were streaked with dense shadows from the trees behind me. These random shadows ruined the composition. 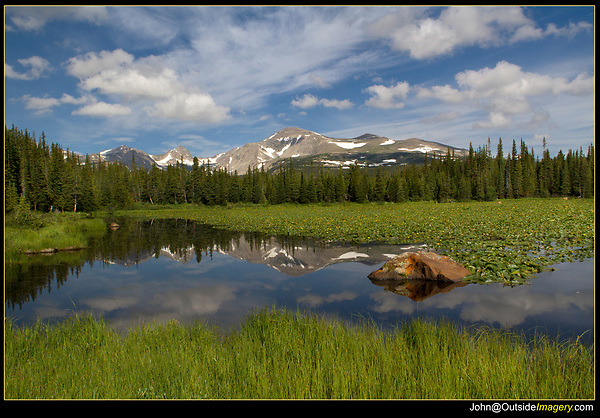 Colorado tours by Outside Imagery.